Synopsis: An unforgettable novel about finding a lost piece of yourself in someone else. A novel about how we love, how we take care of one another, and how the choices we make resonate through generations. 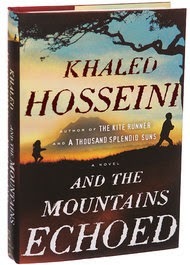 In this tale revolving around not just parents and children but brothers and sisters, cousins and caretakers, Hosseini explores the many ways in which families nurture, wound, betray, honor, and sacrifice for one another; and how often we are surprised by the actions of those closest to us, at the times that matter most. Following its characters and the ramifications of their lives and choices and loves around the globe—from Kabul to Paris to San Francisco to the Greek island of Tinos—the story expands gradually outward, becoming more emotionally complex and powerful with each turning page. Review: So many reviews of this Audio book commented on how difficult it was to understand the narrators which I didn't find to be the case at all. I feel like the accent of the narrators added to the story and gave it a richness that may have been missing if it was read by someone with an American accent. 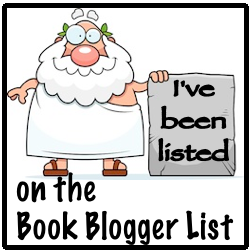 The narrators are from the region that this book is set so it works well. The story itself twists and turns and if you stop listening for too long you may find yourself a bit lost in the story. There are many characters and many different time frames to sift through so keeping a consistent listen keeps the continuity. Sad and haunting Hosseini brings to life the richness and excellent story telling of this region. Choices in life have complex consequences on everyone who comes into contact with the participants. It shows how we are all connected by our experiences. Beautifully written and woven together, haunting and poetic. While I didn't enjoy this as much as the Kite Runner its still a well written story.